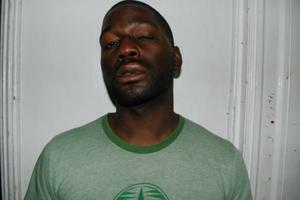 Demand Justice for Jabbar Campbell, assaulted by anti-gay cops! 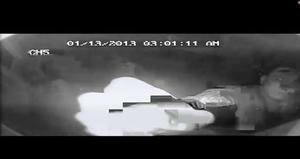 NYPD officer tampers with surveillance camera. Honor Dr. King's legacy by taking action! On early Sunday morning, a group of anti-gay NYPD officers burst into the home of Jabbar Campbell, tampering with the building's surveillance cameras before gruesomely attacking him. Responding to a supposed "noise complaint" at the home where Mr. Campbell was holding a Pride party, the officers yelled anti-gay slurs while beating him so badly that they left his mouth bloodied, eye swollen and lip split open. This is an outrage, but has become all too common. Police brutality is a national epidemic, facilitated by a justice system that nearly always lets the officers off the hook. In New York City, officers harass, frisk, falsely arrest and brutalize people routinely, and the pattern of abuse against Black and Latino, as well as LGBT communities, is well documented. When asked when the Civil Rights movement would be satisfied, Dr. Martin Luther King Jr. replied, "We can never be satisfied as long as [our people are] the victim of the unspeakable horrors of police brutality." On Monday, Jan. 21, we can honor the legacy of Dr. King by standing shoulder-to-shoulder with Jabbar Campbell, and demanding that the involved officers be charged with criminal assault. We will be marching from his home where the NYPD attacked him (1313 Sterling Place) to the 77th Precinct (127 Utica Ave.). We will assemble at 4pm. Showing video and photographic evidence that the officers first disabled the building surveillance camera, Mr. Campbell has filed suit against the NYPD today. His story was picked up in the New York Daily News, New York Post and other local news. Next month will be the February 23 'Stop the Cops' Unity March from the Bronx to Harlem. The momentum for this action is building -- get involved! For more info call 212-694-8720 or email nyc@answercoalition.org.